Jessica Slone is a Family Nurse Practitioner and has worked with a board certified neurologist for the past two years. 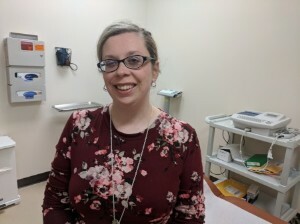 Her work in neurology has allowed her to work with patients suffering from a variety of neurological disorders including migraines, Parkinson's Disease, multiple sclerosis and neuropathy. Prior to obtaining her Nurse Practitioner's license, she worked as a registered nurse in a stroke care unit. Slone is available to see patients of all ages at the Bowman Clinic.